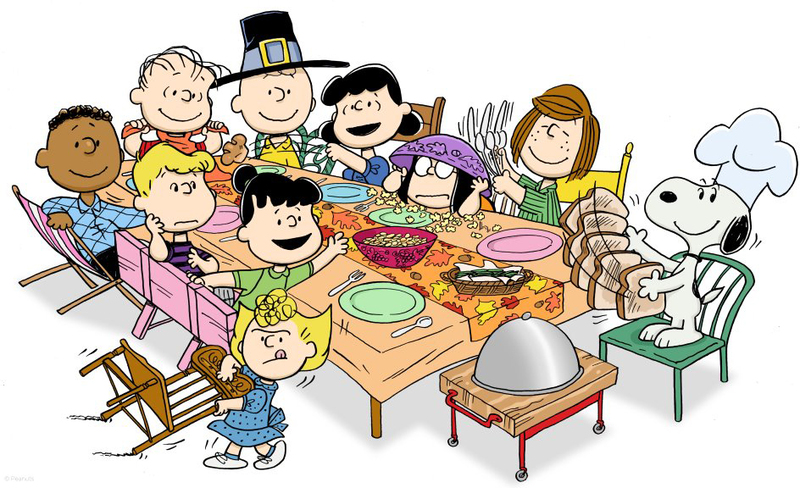 Giving Thanks…or Food, Football and Macy’s Parade? 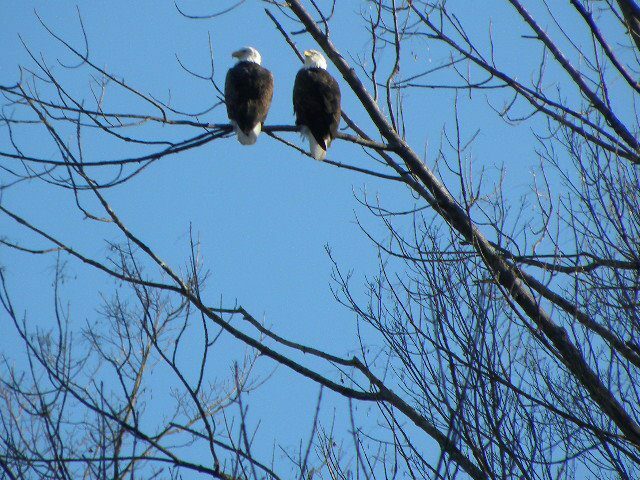 I saw two eagles fly to the top of the hill and begin to circle. Since the trees are bare, I can see a large nest in the top, but it’s a long way off. It puzzles me to see a hawk in eagle territory but somehow no one cares. When the eagles circle, the hawk flies off. I stop and smile my thanks… for eyes to see, this nature moment, just for me. Creation draws me to him in the most intimate way. This is where I feel closest to God. At the moment I am finishing up Leslie Leyland Fields book, The Spirit of Food. As I read the essays, I can almost taste the food as each author describes it. The slow, purposeful way one family makes homemade pasta, sauce and bread. As they prepare this meal together, they encourage their teen’s friends to join in. These friends seem awed by this event as if it were a totally new idea. Indeed, it is new to them. They are pleased as punch to be part of this process of making food. But more than making the food, it is the company that is most hospitable. That makes all the difference. Gathering for a meal is not at all about gobbling down quickly and getting on with the next busy thing. A meal isn’t a grab and go burger and coke at a fast food restaurant on the way to a soccer game. We were not meant to come to the table, and slip away without tasting the food. I’ve had a hotdog or two during football, or a slice of pizza grabbed during baseball season. Even with six children playing sports, I fought for traditional meals together, knowing this is an important intimate family setting. My grandmothers made home cooked meals every day. Lunch was not a bowl of soup and grilled cheese, it was a meal. The table was set for everyone to eat…together. 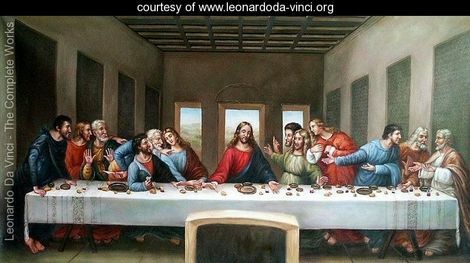 Did you ever wonder about the conversation at the Last Supper? As delectable as the food can be, the conversation can turn sour. There was the betrayal… and Judas left them. The bread and wine Jesus shared so they could remember him. In Luke, what did the disciples do? They argued over who was the greatest among them. The very night before he was taken, they argued! Their eyes were blind to the future of their Lord. Did the men remember that conversation with Jesus later, when he was in the grave? There is much to be said about the slow savor of the food; the company of those with whom you share the meal, and the happy conversation—leaving behind the negative stresses of life. Is Thanksgiving Day about watching a parade while someone cooks, stuffing ourselves like a turkey, and lying around the rest of the day watching football? Maybe your family has a hunting ritual, and you come in for the dinner and go out again. Is this true fellowship? Can we give thanks in all these things? 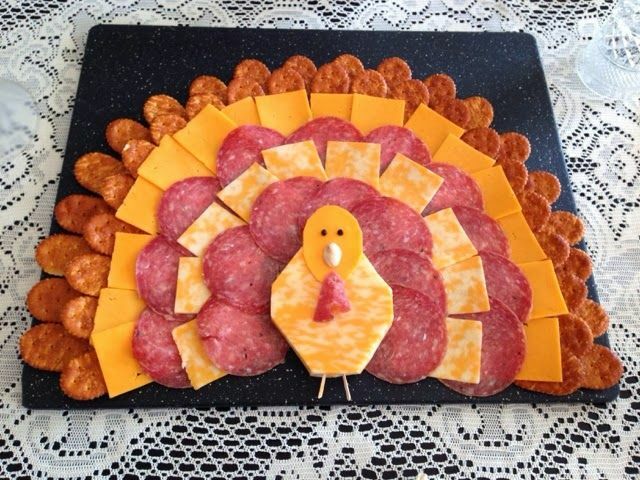 We may have fanciful colors around the table; a comical plate of pepperoni, cheese and crackers laid out in the shape of a turkey. 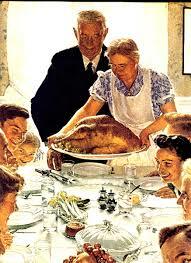 There may be too many cooks in the kitchen, and a bit of turmoil, but then we pause…all seated…giving thanks for all. Is this your image of Thanksgiving dinner? Memories are made of this—Macy’s Thanksgiving parade, the morning hunt, and the football game, or is it just about the company? Have we prepared our hearts for the worship and thanks for all we have as we try to balance cooking all the dishes, and laying out the spread? Savor the food; savor the memories, the fellowship, the conversation, and the beauty and sacrifice…the Savior. May you and yours have a blessed day of remembrance! Sabra, thanks. Have a special day also!